theFoodette & Family: Berry Probiotic Popsicles... for Breakfast! 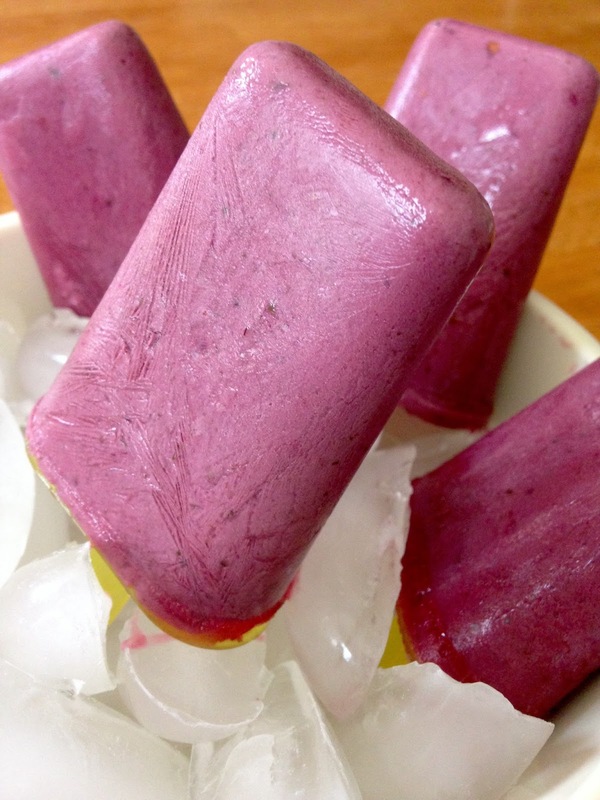 Berry Probiotic Popsicles... for Breakfast! The other day I posted a pic on Instagram of THE prettiest smoothie I think I have ever made! It was such a bright, deep purple, I could not wait to dive in! That deep purple as created by 1. fresh blackberries and 2. 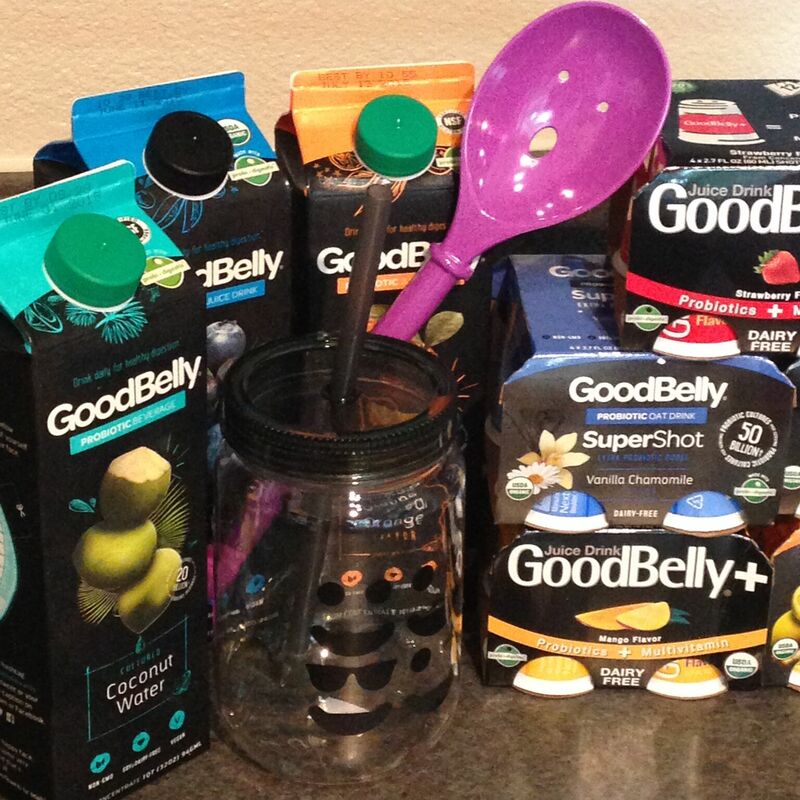 Blueberry Acai GoodBelly Probiotic Juice Drink! We love our smoothies at breakfast around here... so if I make these popsicles with the same ingredients as my smoothie, then why not have a popsicle for breakfast!? I just combined my favorite smoothie ingredients fresh fruit, greek yogurt, juice, honey, and baby spinach, and then I whirred them all around in my blender. Poured this deliciousness into some popsicle molds and stuck them in the freezer! It was too easy! Blend all ingredients in a blender and pour into popsicle molds. Freeze for 3-4 hours or until set and enjoy! *note- you want the 2% yogurt! A little fat helps the pops to be less icy and more creamy when they freeze.